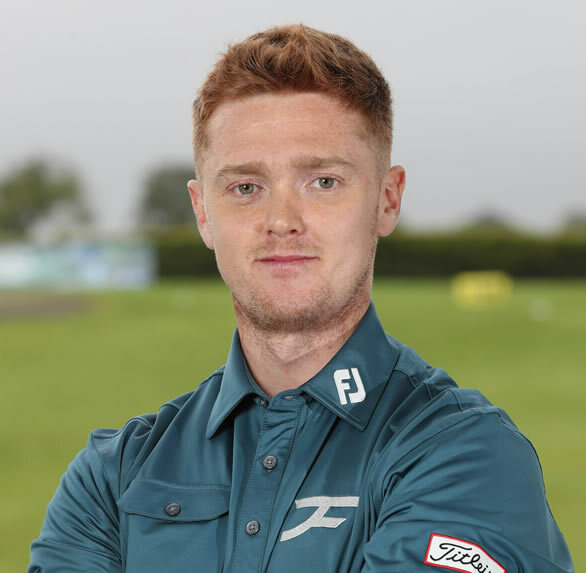 Jordan is a fully qualified PGA Professional, having completed the AGMS Degree programme at the University of Birmingham. Jordan has developed his coaching knowledge worldwide through working in countries such as Spain, New Zealand and Dubai, as well as GB&I. These experiences and learning is something Jordan wishes to share with his students at JFG. Jordan continually looks to expand his coaching knowledge through reading books and continuous interaction with other successful coaches. Jordan works alongside all abilities of golfers from juniors, complete beginners to elite amateurs and professionals. He firmly believes in a fun, engaging environment where the player is always at forefront in achieving their goals. He believes the golf swing should be developed upon sound fundamentals dependent on the individual’s needs and creating long-term optimal player performance. To get in touch with Jordan click here.